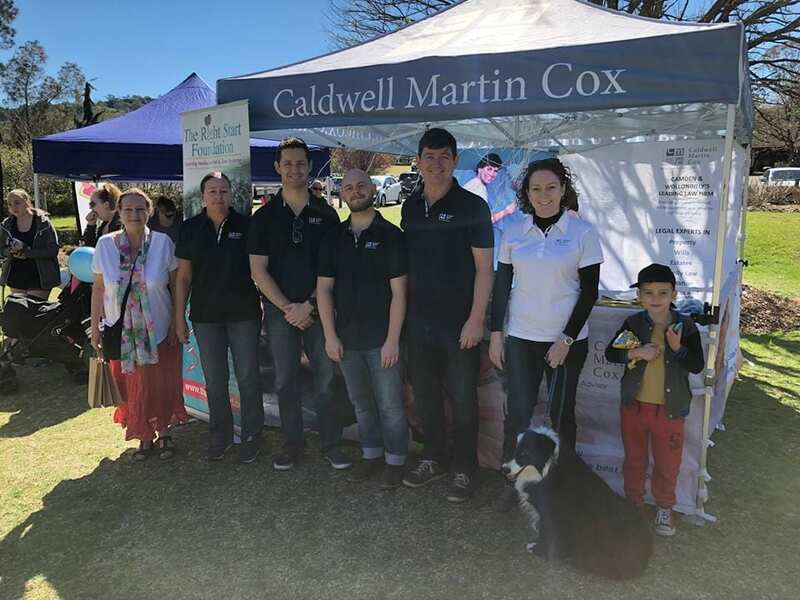 Our team from Caldwell Martin Cox were up bright and early last Sunday to help set up for the Step Up for Down Syndrome walk at Picton Botanic Gardens, marking out the start with a row of blue and white balloons. We spent a lot of the day handing out balloons, popcorn and lollipops to everyone who came along, as well as going out for the walk around the gardens. 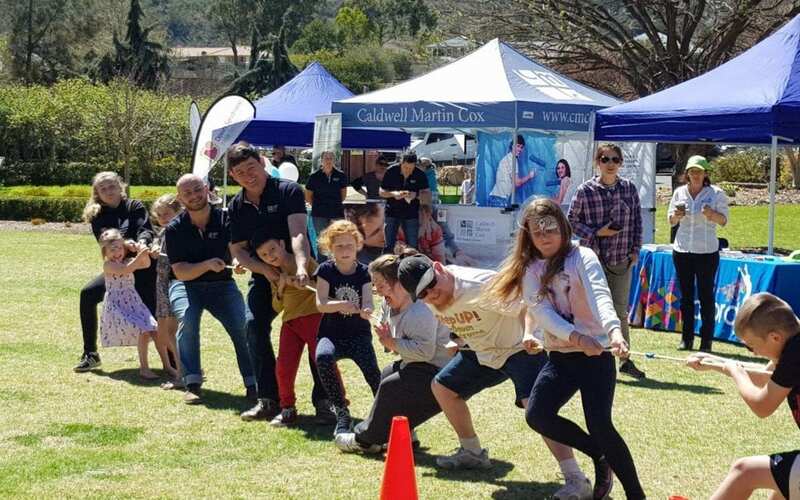 Our partner Bill McGookin was unsuccessful in the m&m transferring competition, however he managed to roll up his sleeves and pull his team over the line in the tug of war event. Jillaine also was up for the novelty race. 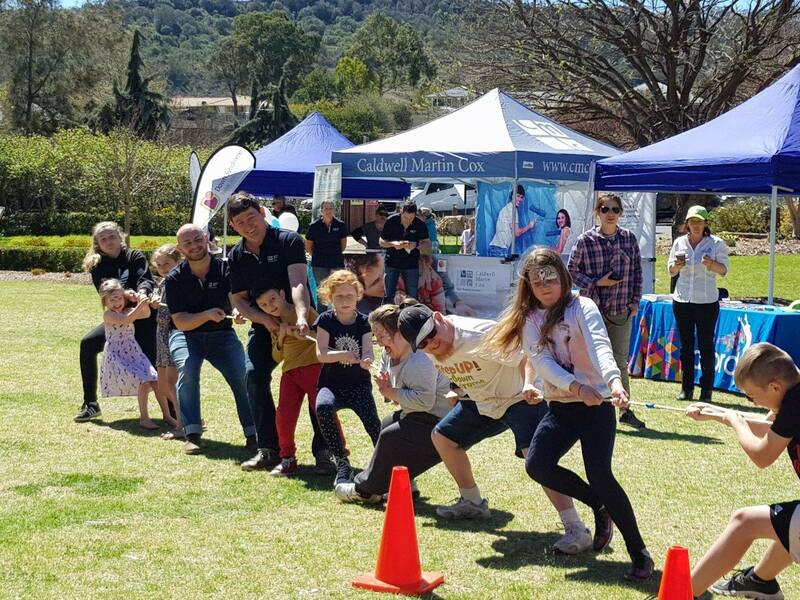 Aside from all the fun, games, and perfect weather, we had a great time getting involved in raising awareness for Down Syndrome with the local community.